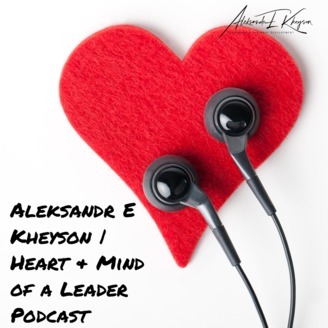 Welcome to the Heart and Mind of a Leader Podcast! Topics discussed are: Leadership, Personal Development, Management, Team Building, Self-Development and Learning, Motivation, Goal Setting, Leadership Attributes and Qualities, Management, Self-Development Skills and Tips, Leadership skills for beginners, and much more. Stay tuned. 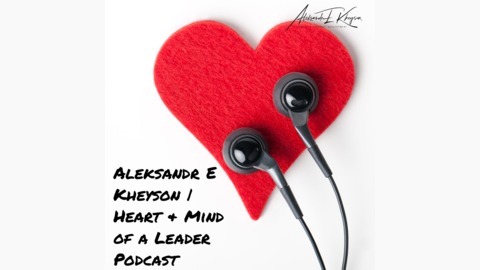 Alex E Kheyson here, and I want to welcome you to the Heart & Mind of a Leader podcast, wish you the best of luck and determination on your exciting and often challenging personal development and professional growth journey. How we view challenges and why they are important, what do we get out of facing challenges, facing difficult situations and constant change as result? What is typically the main difference in various challenges that we all face on the regular basis? Why it's important to see challenges as drivers of progress vs. something negative or something to avoid at all costs? What typically happens when we are not being challenged? Will you choose to seek challenge or seek ways to avoid it and run away from it as soon as opportunity presents itself?